Step 1 - Visit the Y8 Account Stencyl SDK Github page. Click the green download button to get the stencyl Y8 Account extension. 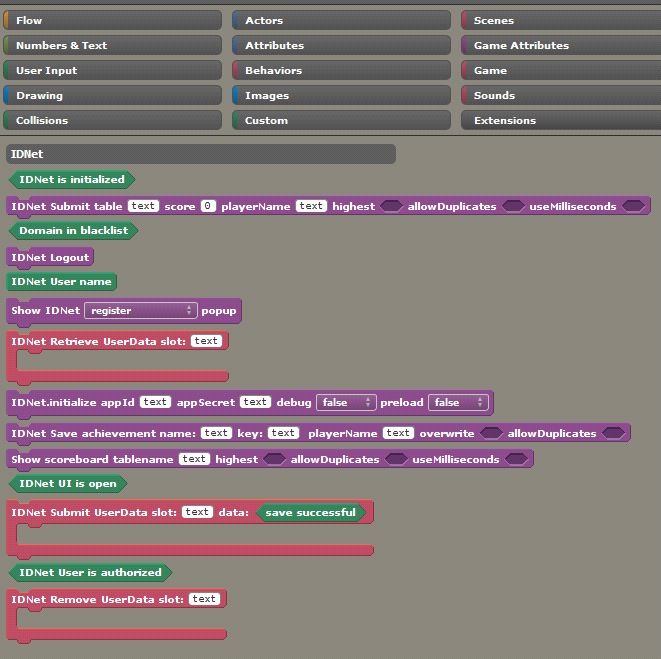 Then install it and you’ll see new code blocks. 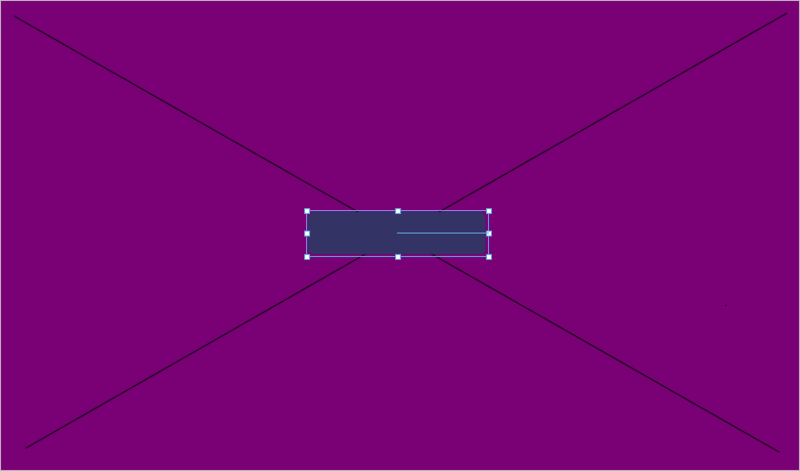 Step 2 - You should have 3 different scenes. First, we must initialize the app. 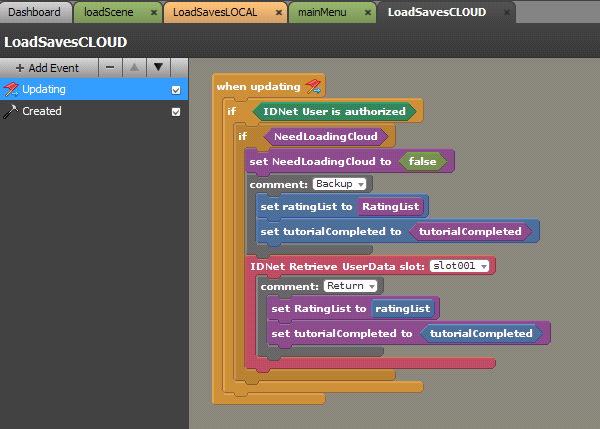 After loading, set your game attributes with the prefix “cloud” as default. This is an important part. 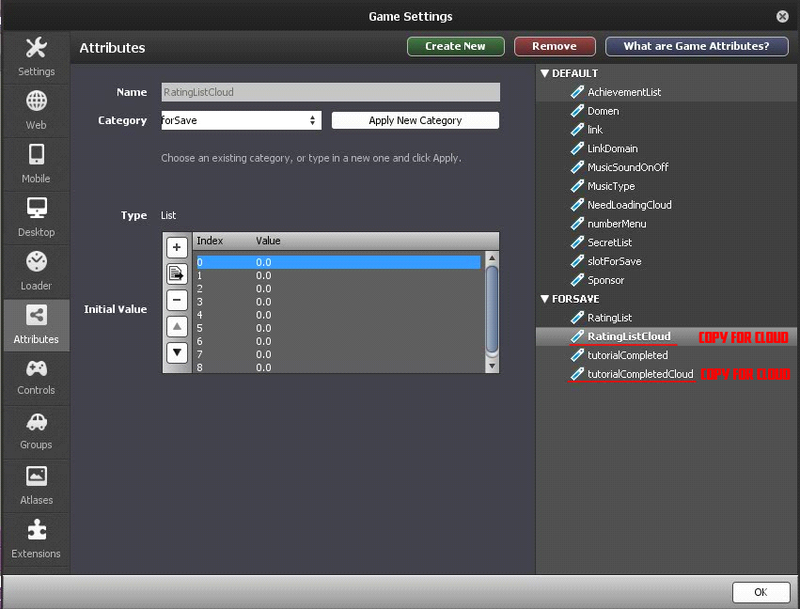 Also, create a game attribute NeedLoadingCloud. Example code for loading Y8 Account saves. This code should be in for the update event. Before loading, you must save your non-cloud game attributes in local attributes (create local-blue attributes for it), and after loading use local-blue attributes to feed in their respective saved values. This is very important. Use the following code for banned sites. 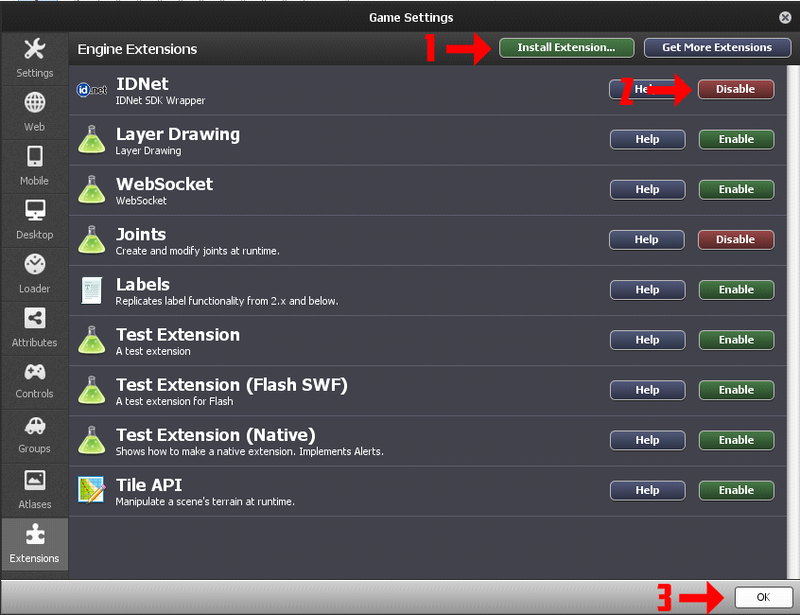 Step 5 - Example code for saving (Y8 Account and local). 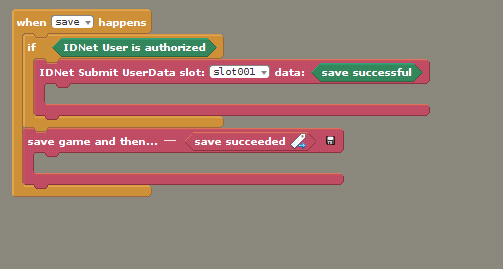 Step 6 - Example code for unlocking achievements. To display the achievements menu. To show the high scores menu. First, we must check if a Y8 Account UI is open or not. A LockedScene can look something like this. Add actor to the lockedScene. Example code for this actor. 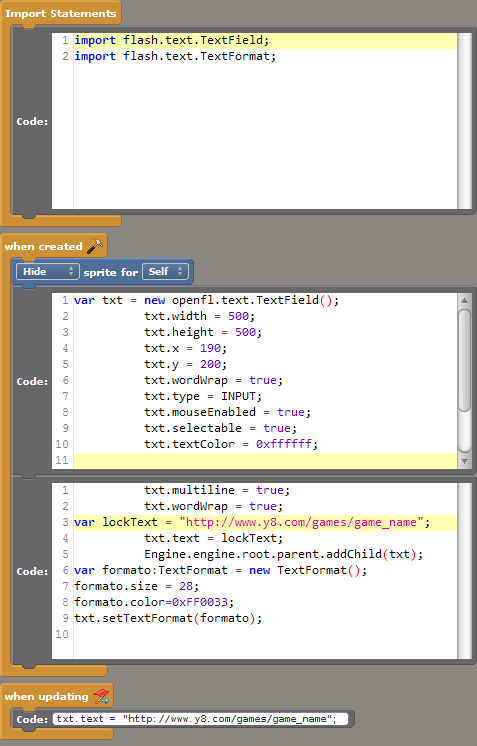 This code lets the player highlight and copy/paste the correct game link in their browser.